Micromax has launched its new tablet, the Micromax Canvas Plex in India at Rs 12,999. The tablet has been co-created in partnership with Eros Now. It sports an 8-Inch HD display along with 3GB RAM and 32GB of internal storage. The Plex also features DTS sound which the company claims, provides an enhanced video and gaming experience. The tablet will offer users access to Eros Now’s library of Bollywood and regional language films, music videos, TV shows, originals and more. The tablet will be available from September 1 at a price of Rs 12,999. Taking the entertainment quotient notches higher, Micromax Informatics, one of the leading consumer electronics brand in the world, leveraged its strategic partnership with Eros Now, the cutting-edge digital platform by Eros International plc, a leading company in the Indian film entertainment industry, to bring alive a seamless on-the go entertainment experience for the consumers. Micromax is launching a co-created content packed, tablet- Canvas Plex with Eros Now, which will give consumers a year of immersive and unlimited content of movies, music and entertainment shows. Micromax and Eros Now have also partnered for the promotion of upcoming Bollywood movie Shubh Mangal Saavdhan starring Ayushmann Khurana and Bhumi Pednekar, to allow a few select consumers to have access to meet & greet with stars and free movie tickets. Targeted at the young working professionals and students, the new Micromax Canvas Plex, will help accelerate the content consumption among the new age consumers. Canvas Plex comes with an 8” inch HD Screen coupled with 3GB RAM and 32 GB ROM. For digital content enthusiasts, the device delivers superior video and gaming experience as it comes with DTS Sound. Eros Now’s wide-ranging library of Bollywood and regional language films, music videos, TV shows, originals and more will be pre-loaded on the new Micromax Canvas Plex. Users will also have access to a range of exciting features including full length movies, thematic curated playlists, multi-language subtitles for movies, music video playlists, regional language filters, video progression and access to a watch list of titles. The device comes with one-year premium subscription of Eros Now content, that means consumers can enter the world of entertainment and enjoy the wide-ranging library of Bollywood and regional language films, music videos, TV shows, originals and more. Users will also have access to a range of exciting features including full length movies, thematic curated playlists, multi-language subtitles for movies, music video playlists, regional language filters, video progression and access to a watch list of titles. The partnership also allows for a few select customers to have access to meet & greet with stars, with exclusive merchandise and enjoy free movie tickets. Which one is better Micromax canvas Gold or Blackberry? 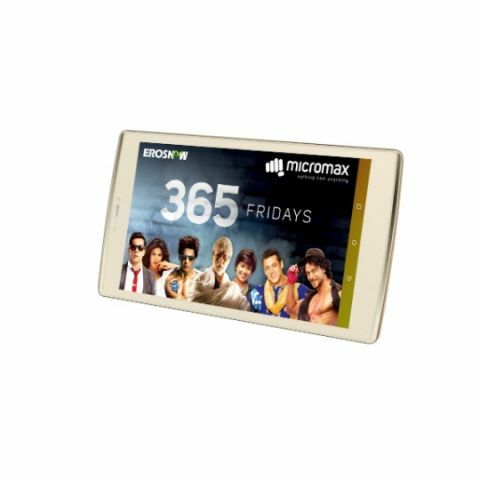 how to root micromax canvas 2 a110 ?? ?